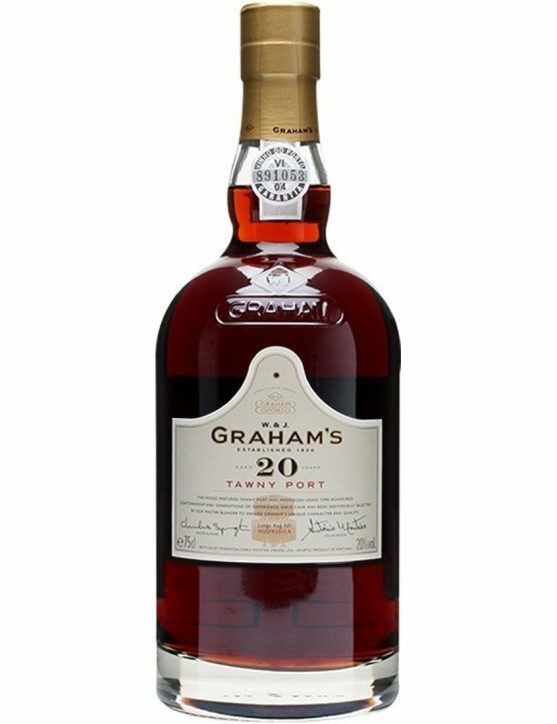 Now you can engrave the Graham's Tawny 20 Years. 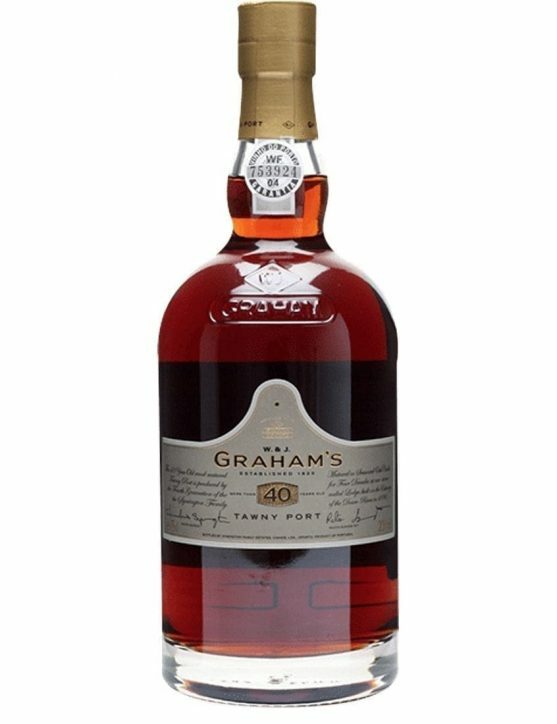 A special gift to someone special.Graham’s 20 Years Old Tawny Port Wine is the pursuit of perfection between the impeccable balance, of young Port wine’s freshness, and the ageing complexity of old Port wines.Graham’s Tawny 20 Years is an impeccably balanced Port with a long, elegant finish. Surprise someone special with a kind gift. 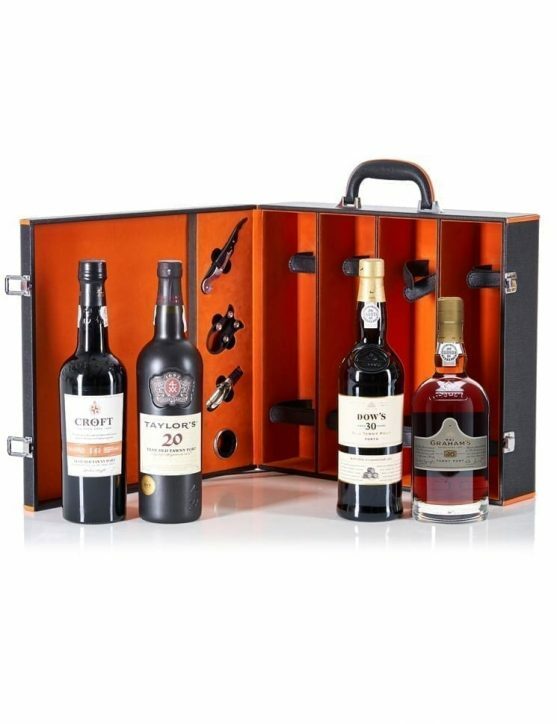 The 100 Years Gift Set is perfect for that good old friend who can’t resist to an exquisite Port or to express your consideration through a simple gesture.There isn’t a better way to please someone. 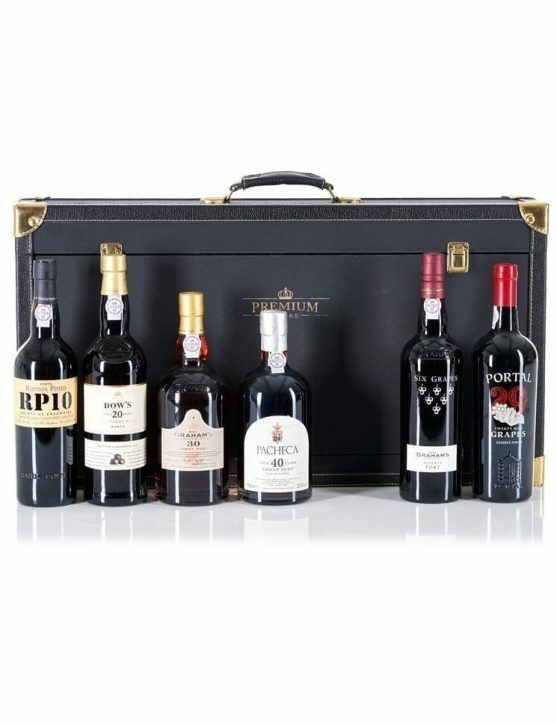 If you are looking for a one of a kind Port Wine, this gift set is the right one for you. 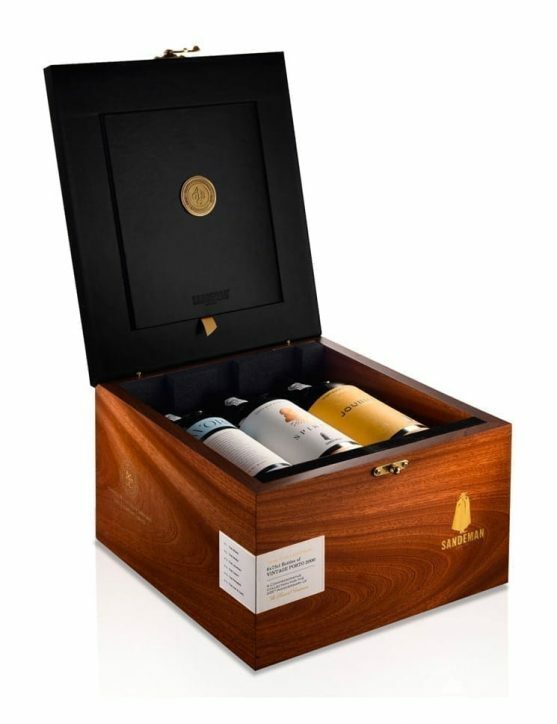 It includes the exquisite Portal 29 Grapes and the classic Grahama's Six Grapes.A sophisticated pack that reunites 35 grapes into two amazing Port Wines. Discover the elegance, sophistication and intensity of Portal 29 Grapes and Grahama's Six Grapes and surprise someone special with a unique gift set. A perfect gift set for a collector or for any Port lover. 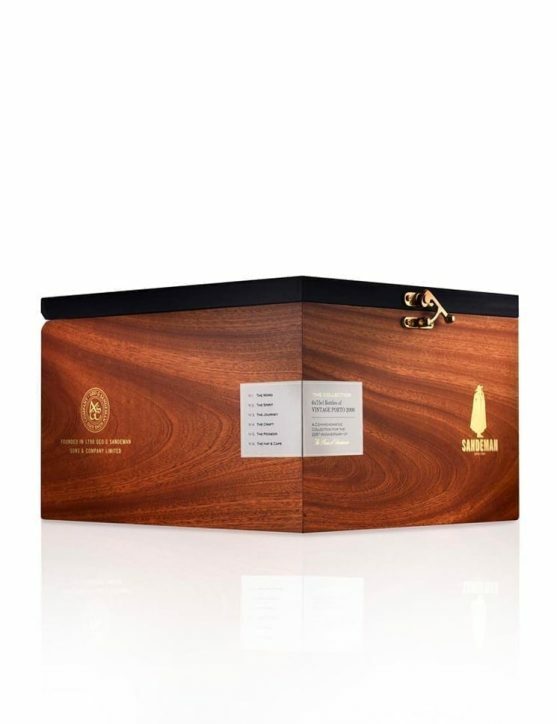 The Sandeman Vintage Sandeman Vintage 225 Years, is a limited and special edition that celebrates the history of this Port Wine House with six unique labels designed especially for Sandeman Vintage 2000 Port. A Port Wine with an excellent complexity and intensity, where it stands out beautiful aromas of sea air, spices like pepper and cinnamon, balsamic notes and a slight presence of mint and red and black fruits. In the mouth is a full-bodied Port, with a good acidity, firm tannins and a long and complex finish. Now you can offer the perfect present with this 100 Year & 35 Grapes Gift Set. 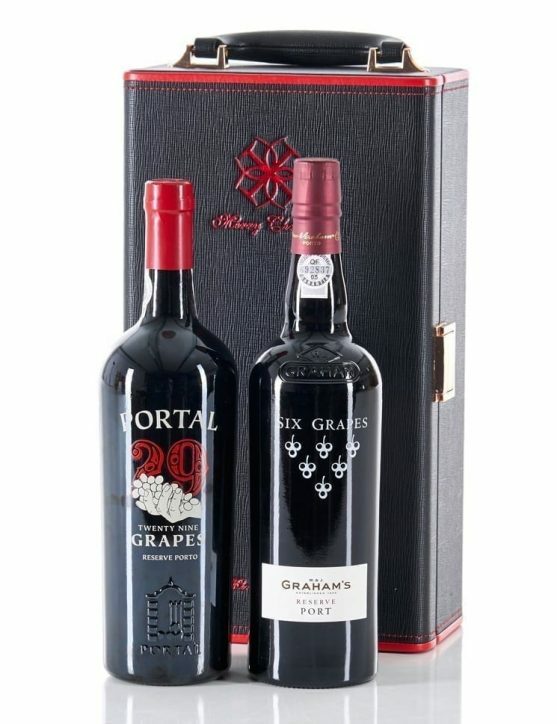 With Portal 29 Grapes and Graham’s Six Grapes it’s possible to enjoy some of the best 35 grape varieties that are behind these exquisite Port Wines. 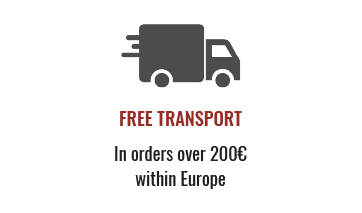 And to turn this into an extra special gift, discover the intensity, complexity and elegance of the best Tawny’s with age indication.It’s 100 Years of what for many is considered the best wine in the world. It is not always easy to find a gift that expresses how special a person is or how grateful we are. Now, you can surprise someone with our 2015 Vintage Gift Set. 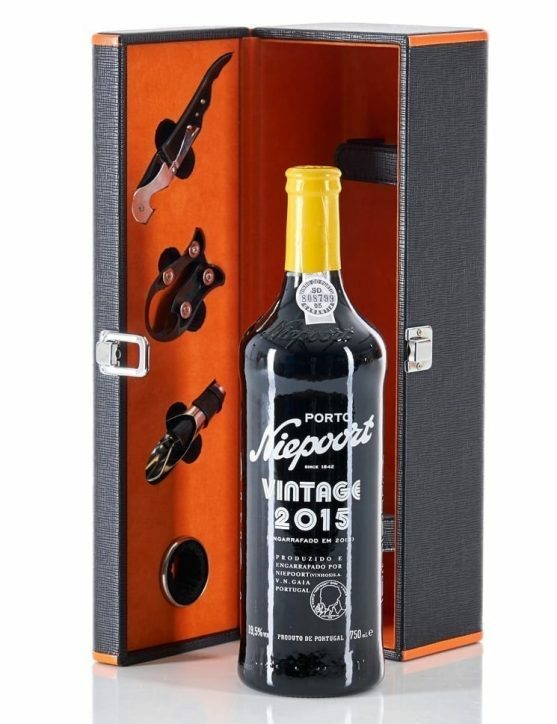 An elegant leather case with accessories that comes with a sophisticated bottle of Niepoort Vintage 2015 Port wine.In 2017 there were only selected 20,000 liters among the 60,000 liters of superb wines from Niepoort, to create this exquisite Vintage.The result it could only be an incredible Port, with great complexity, intensity and concentration of flavours and aromas. Now you can engrave the Graham's Tawny 40 Years. A special gift to someone special.Graham's Tawny 40 Years is a fabulous wine that defies its age through a powerful, fragrance and delicate caramel and chocolate aromas. A Port Wine for real connoisseurs who like to savour time.Awards: 3 Gold Medals - International Wine Challenge. 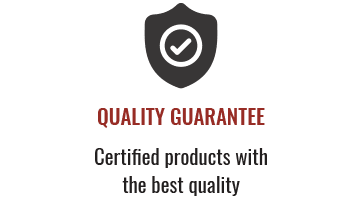 Now you can engrave the Graham’s Tawny 10 Years. 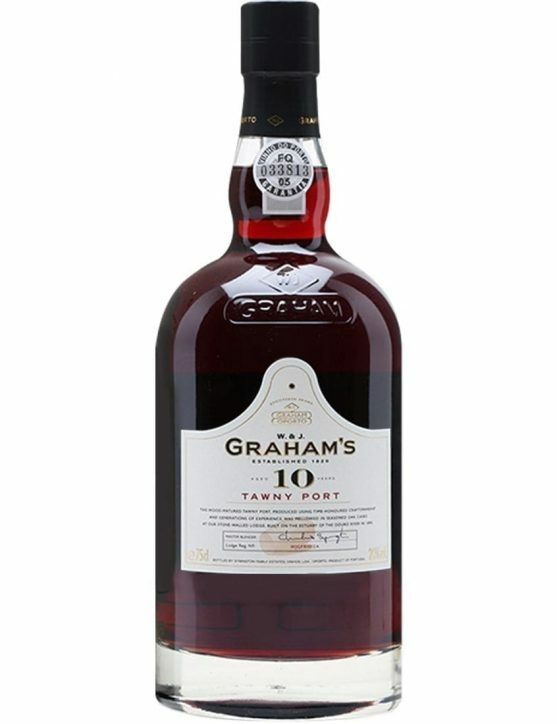 A special gift to someone special.Graham’s Tawny 10 Years rises from a fascinating selection of reserve wines, aged on average for 10 years.For lovers of quality and precision in every detail, this wine is a great expressiveness of Tawny Port Wine. 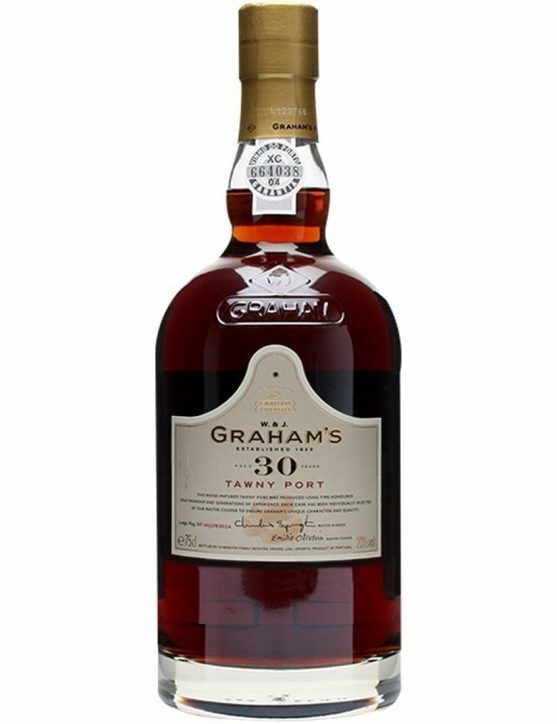 Now you can engrave the Graham's Tawny 30 Years. A special gift to someone special.Graham’s mastered the production of 30 Years Old Tawny Port, already contemplating the range of three know-how arts, and at the same time does not rule out the importance of wood expression and ageing time.Sublime, velvety Port with an impressive finish.